"Song Il-Kook's Dramas Cancelled, No Longer Hallyu Star? "Forget it!" ?? I take it as "Although Song Il-Kook's Dramas were cancelled, that may make him no longer Hallyu star." But "No way, forget it, he's still very much loved by Japanese fans". The phrase has a positive meaning, not a bad one. Gabi, Dana, I enjoy reading your posts and your creative works; and Elisabeta, you always have some good pic of SIK at the end of your post. I like it. Celia, don't spend all your time on your blog, remember to post in Soompi too, to make it active and moving. Kish, by "shades" did you mean sunglasses or cap? He didn't wear a cap because he was filming for Korea Triathlon and he knew he would be taking pictures with us. He would wear cap and sunglasses if he were a triathlon participant. Movies: The Departed (US Version), Indochine (France-VietNam), Far and Away (US). Tongyeong Triathlon has shown in Korea on 07-Oct-2012. Let's grab the torrent links. I'll upload it to Dailymotion but it will take some time. This program has no English Subs. We'll have to wait about 6 weeks to see subs on KBS World. For some weeks I have read a lot of things about my favorite actor... who knows something about our favorite father of triplets. I hope that the flame that SIK kindled in our hearts will never die! HKMom's paddle fans (aka uchiwa fans) are always a hit. SIK looks proud and happy. QoM members look equally happy, Joo Sang-Wook is even shy :\"> . There's an article says that QoM members thought the group was Joo Sang-Wook's fans. He almost stole the show from SIK (http://news.nate.com/view/20121007n12527). Hi Kish..if you have a folder file onto your desktop,then if you have photobucket or flickr..add those in there first..cause it needs to be in a linkage.. go to the normal reply posts..and should be a tab that looks like a green square..an http window pops up..add the linkage there. THEN your photo should show up..what not.. Hope this helps?? Hi h20g..thanks for the clips..he's so manly!! Gosh..happy birthday. Mr.Hummer....hoped you had a good one!! Thanks again KB for all more of the QOM..it's making me more anxious to see this!!! I wanna see him swim....v Wow you fans are famous now..Yayyy.. lol. Fightings! 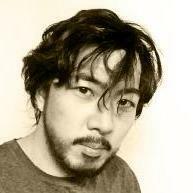 hi chiyoko..thanks for the info on Mr. Hummer..hopefully he will be back! Waves,,metal, ardently, alex, gab, sig, dana, and everyone I have missed..hopefully to catch up soon!! v..
Dear all SIKers, thank you for your contribution and make this forum active and lively. Dear Dana, always love your wonderful artworks. Dear Kona, thank you for the torrent link. I've finished DL it this morning. I'll find sometime to watch it tonight. SIK looks so proud of his internation fans. And we are proud of him. I watched FF on Thai cable T.V. last Saturday. I enjoyed it very much even though it was dubbed. He will certainly gain more popularity in Thailand. I'm still hooked to Jumong (ep 41). I even enjoy it more than the first time. The dram is so good and my prince is so great. Actually I love him from the first appearance as a weak guy. He is just too cute . Sorry that I did not pay attention to him when I first watched it. Currently Han Hye Jin and Bae Soo Bin are filimg a movie 26 Years. I think it is planned to release in November. I hope to see SIK attending the VIP premier of this movie. Have a nice week, dear SIKers! Awesome creations by Dana, Gabi, Hadise, HWJ, Ardent, you've made this page so festive !!! Here are more Tongyeong videos to share. Updated: Merge 6 videos into 2. For best view, during play, move your cursor to the middle of the screen, HD icon will appear, make sure click on it to turn 'HD is on' and select '720'. Sig-hadise, thank you for your artwork. Love it.Dana, thanks so much for your wonderful artwork as always. Love them all. Kona, I have watched QoM Ep 407. It is great. SIK is super cute and handsome (of course). Thank you for the clips of the FM as well. h2og, thank you for the screencaps of QoM. All members are great. I like this show. I must admit that I have not watched it until SIK attended the show. Thanks him to introduce me to an awesome show. ardent, I like that photo as well. His eyes say so much. Dear H2og, thank you for your comments and picts! Dear Alex, right! 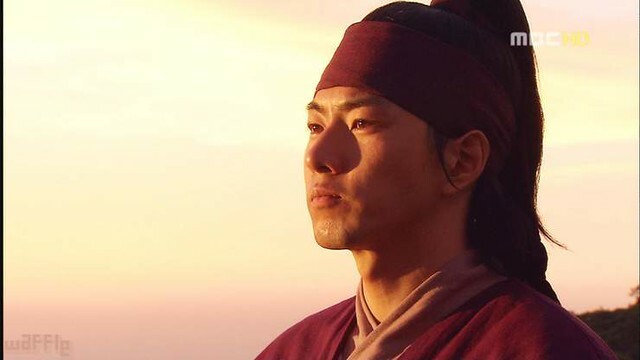 Jumong forever! thank you for this joy. Thank you for the clips Sig-Hadise,and thank you for your aversome artworks Hadise and Gabi. I agree with alex SIK's eys are say so much.Love them and love you dear friends for your devotion your friendship and love . Thank you for the clips Sig-Hadise,and thank you for your aversome artworks Hadise and Gabi. Dear Hadise escuse me for the confusion I saw the videos posted by Kona abouth the fans supporting SIK and you being present to this event? and thought you were the author of the videos...sometimes I have fiew time to spent on soompi and escape some important posts end events shared by SIKers...please forgive me my friend I did not want to upset you! Thank you kona , and laney for the great videos.